Hot chocolate floats are actually the only type of floats I enjoy eating. I don’t Coca-Cola, lemonade or IronBru. 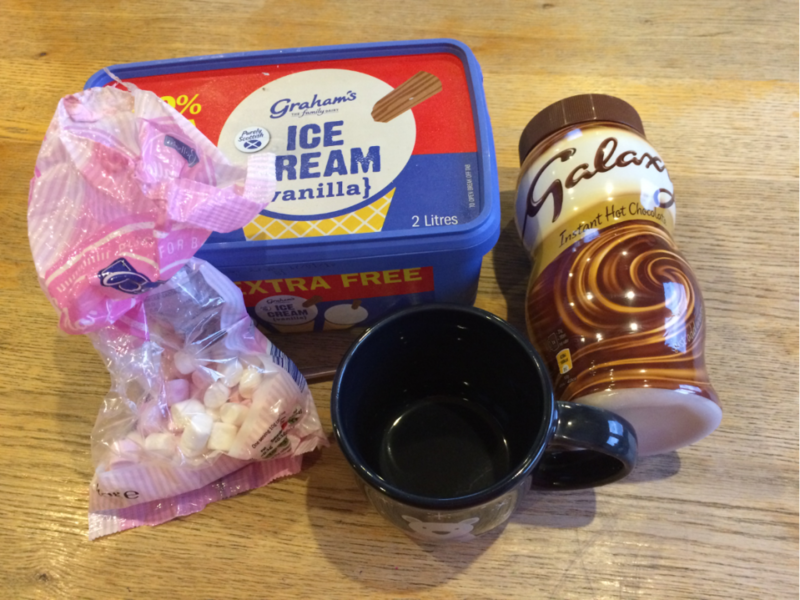 Many people may call it weird or strange adding ice cream to hot chocolate, but is actually delicious if only you try it. The ice cream floats to the top and starts slowly melting with the heat of the drink, giving the upper layer of the hot chocolate a frothy milky texture. While the centre remains cool and unaffected, so much so you can sit and eat the ice cream with a teaspoon, the cold vanilla mixing sensationally with the hot chocolate in your mouth. Its to die for. Try it. 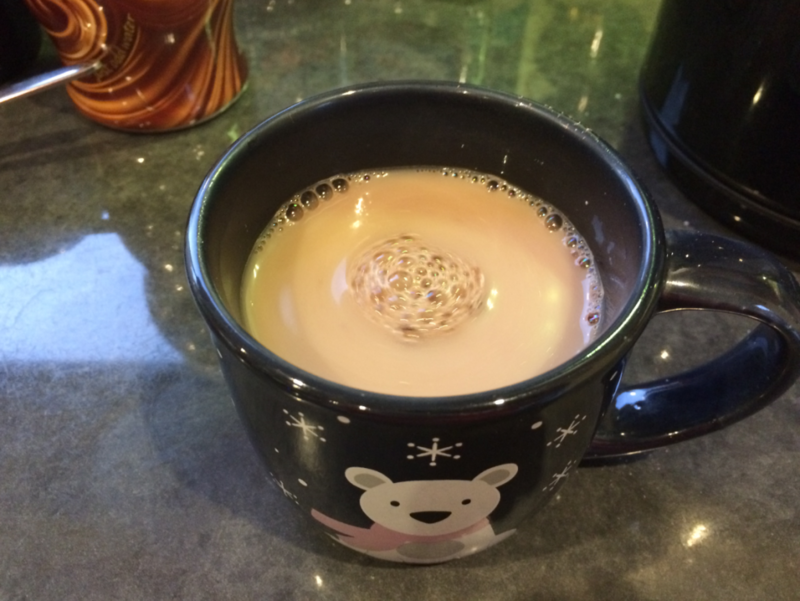 Make your hot chocolate as you would normally by either mixing warm milk or water with hot chocolate powder. 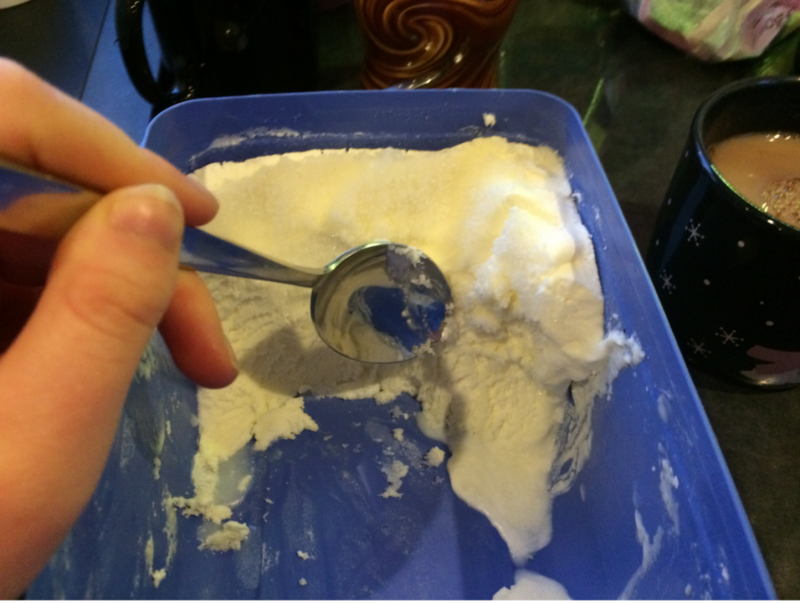 Have the ice cream sitting slightly in advance by either scooping the ice cream out the container into a bowl or having the scoop sitting ready pre-filled with ice cream. 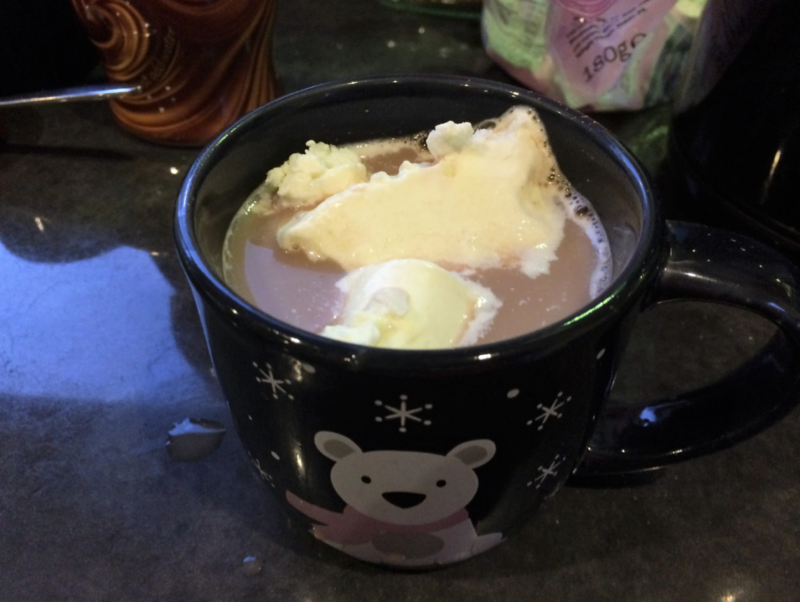 Once your hot chocolate is ready and poured inside a mug quickly add two large scoops of ice cream to it. 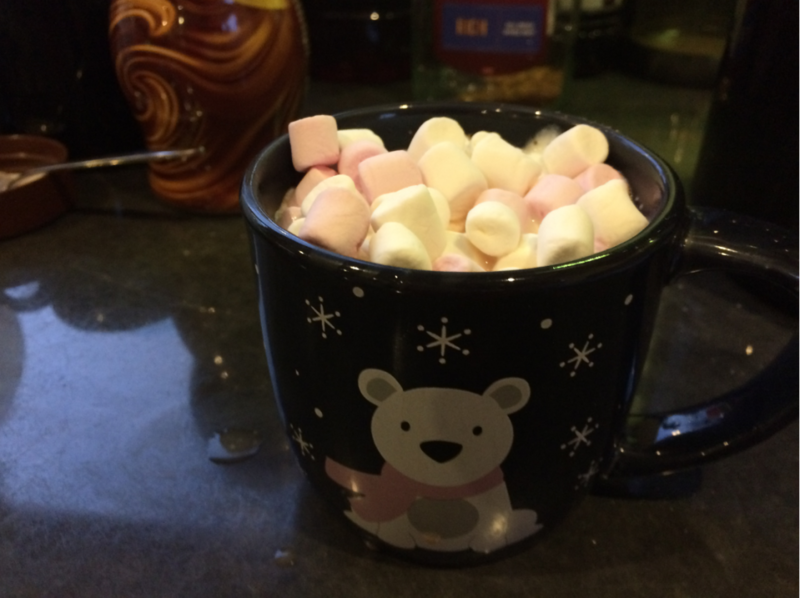 Sprinkle with a handful of marshmallows to finish. And hurriedly eat with a teaspoon before all the ice cream melts. Tell me if you like this idea or even if you think its weird in the comments down below.